As the founder of a consumer technology PR agency, you can bet that I’m highly interested in the future of consumer electronics. That’s why I jumped at the opportunity to speak with my guest on this week’s edition of the Unconventional Genius podcast: Jim Sanduski, President of Sharp Home Electronics Company of America. Jim has been working in the Consumer Electronics Industry for more than 25 years. Before taking on his current role, he was an executive with a handful of companies you may have heard of: Sony, Samsung, HP, and Panasonic. Jim has experienced some of the industry’s most transformative developments, such as the evolution of television from watching analog signals on heavy CRT screens, to HDTV, to marveling at today’s 4K (and soon, 8K!) displays. He’s seen the transition from VHS to DVD to BluRay, and from renting videos in stores, to downloading, then streaming them on devices of all sizes. I can’t think of anyone better qualified to speak to the possibilities for the future of consumer electronics than Jim. I invite you to join me for this interesting conversation. Jim and the team at Sharp aren’t only working on the microwaves and TVs of the future, they are focused on one of the industry’s newest areas of advancement: the kitchen. The kitchen is evolving from a collection of stand-alone appliances to a connected experience where those appliances “talk” to one another. App and software-enabled appliances will soon be doing everything from filling out your grocery list automatically by scanning the contents of your fridge to starting dinner while you’re on your way home. If that kind of non-DIY approach to cooking sounds as good to you as it does to me, you’ll want to hear Jim’s forecast of where the connected kitchen is headed, so be sure to listen to our conversation. That’s exactly what Sharp is doing under Jim Sandusky’s leadership. For example, Sharp recently announced it is working with SideChef, a startup that has developed an award-winning cooking app that will create the mobile application and custom recipe content for all of Sharp's future internet-enabled cooking appliances. The first product will be a connected version of Sharp's SuperSteam+™ Convection Oven, scheduled for release in Fall 2018. Jim’s got lots of insights like this about where the consumer electronics industry is headed, so if you’re involved in a tech startup you’ll want to hear what he’s got to say on this episode. Work with industry standards instead of trying to create your own. Adopting industry standards makes it more convenient and compelling for your customer to use your product. Be humble, be kind, even when you reach the higher levels of the org chart. Always consider that business success is about ‘we’, not ‘I.’ Your colleagues and team members will make you look good. Don't be a complainer. If you are not happy about something, be part of the solution. Manage expectations by under promising and over delivering. That’s how you will build your reputation throughout the company and the industry. Become comfortable with presenting in front of people, whether to your team in a conference room, or delivering a CES keynote address. Don’t miss this great episode. Jim’s generosity with his time will reap dividends in yours if you will apply what he shares. 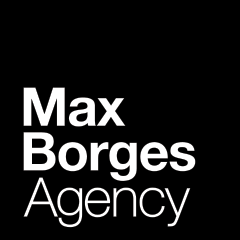 If you are with a consumer technology company planning to launch a new product at CES, or are even looking ahead to CES 2019, the Max Borges Agency can help you succeed. To learn more, check out: www.maxborgesagency.com. [23:02] Is Amazon’s dominance in the consumer / retail experience a good thing?